Ever heard of Embedded Theme? That’s rights; embedded as they are called, since these themes does not require uxtheme.dll patch. You can apply this theme onto your desktop without any problem. 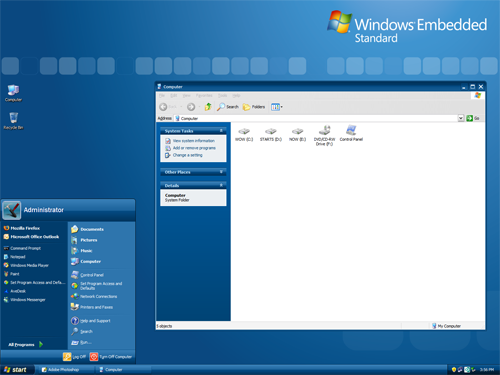 These Windows Embedded theme can be extracted and installed on Windows XP and 2003 systems from the standard CTP Refresh. Although these themes are not available for public download, but none the less can be extracted from Operarting System itself and you can download it from the link provided at the end of this post. Since, this theme have been released by Micorsoft for Window XP and 2003, therefore you won’t have to download any patch to make it work. Download following ZIP file, extract it and run the .EXE file. After that you can apply the theme from Desktop Properties. Looks nice.. why is this theme so special tho?